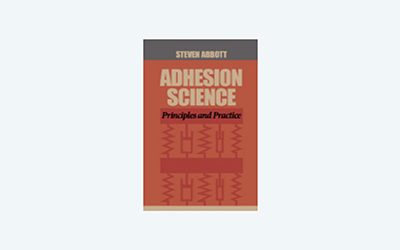 This page provides a crash course in how "solubility" parameters have a big impact on "adhesion". There is a much fuller explanation about HSP within Practical-Solubility, but use this page to get a quick overview of why you really need to know more about them. The ability of two polymers to intermingle or entangle depends, to a large extent, on how "like" they are. So all we need is an objective measure of likeness - or its opposite, the "distance" between two polymers. There is one scheme that does a good job at this and is described on this page. More details can be found on the Hansen Solubility site. Rather than rely on simplistic ideas of "hydrophilic/lipophilic" or "polar/non-polar" which are ill-defined terms, HSP use 3 parameters. 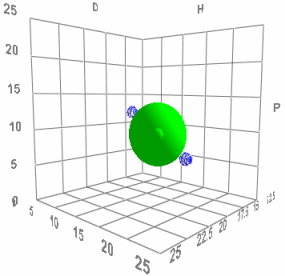 δD is the "Dispersion" parameter which correlates with the polarisability of a molecule, which in turn correlates with refractive index and van der Waals forces. Molecules like methanol have few polarizable electrons so δD is low but aromatics like toluene have more polarizability and δD is higher. Similarly chlorinated solvents have a high δD because of the polarizable halogen electrons. δP is the "Polar" parameter and correlates with our intuitions about polar groups such as -OH or -C=O. Methanol, and acetone therefore have a relatively high δP and toluene a low value. δH is the "Hydrogen bonding" parameter and is obvious in terms of molecules such as methanol. However, molecules such acetone have a modest δH because the C=O is an acceptor for hydrogen donors. Clearly if all 3 parameters for 1 and 2 are very close, then Distance is small and mutual solubility/compatibility is high. If one or more values differ greatly then the Distance is large and mutual solubility is low. where MVol is the molar volume and RT is the usual gas constant times temperature term. For polymer-polymer intermingling (rather than complete mutual solubility which is hard to achieve) the χ parameter can be used to calculate the distance two polymers can reach across the interface, with a lower χ value giving a greater possibility of intermingling. In other words, the HSP Distance is a good guide to polymer intermingling even if (for those who know Painter-Coleman) they are a less good guide to polymer miscibility. d=b/(6χ)0.5. The transformation of χ from Distance uses a value of 50000 for MVol of the polymers. Note: The HSP values for polymers are indicative only as the "same" polymer can be quite different in practice. A blend of two solvents can often have better solubility properties (lower HSP Distance) than either of the individual solvents which might even be non-solvents for the target materials.